Bold is beautiful, and for some, finding a bold new look regularly is an exciting way to keep up on beauty trends and try new styles. Finding a bold new look can be challenging, but there are so many different ways to transform your personal style into something that stands out in a crowd. From outfit choices to makeup colors, there are endless possibilities when trying to update your look—whether you are looking for a subtle and easy change or a change that lasts longer than a day. At Azeal Dermatology Institute, we provide services that can help you complete your bold new look. While we may be skin experts at Azeal in Boulder, we also know a thing or two about looking and feeling beautiful. We know that there are ways to alter our looks that can make us feel better, and that is why we offer cosmetic and aesthetic dermatology services. We offers many different dermatology treatments and procedures that can help you feel more comfortable and confident in your skin, but we also offers services that can help you get the bold look you want. 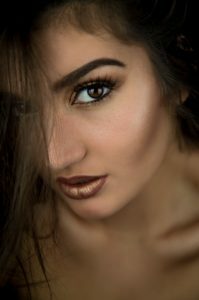 In this blog, we will go over some of the different ways you can create a bold look, including the cosmetic and aesthetic dermatology treatments we offer. Read on to learn the best ways to transform your look! Nothing says bold like dark facial features. Dark and prominent eyebrows have been a popular trend recently, becoming more of a stylish accessory than patches of hair on your face. The thicker and darker your eyebrows are, the more bold, confident, and fierce you will look. Dark eyebrows can help your eyes pop and stand out. The same goes with eyelashes, this is why many women wear mascara. Dark eyelashes make your eyes look bigger and stand out more, highlighting this facial feature. If you have light colored eyelashes or brows, getting them tinted can help create a look that is bold and daring. This may be a big change, but it is a great way to add something different and eye-catching to your look. Tinting can last from four to six weeks, highlighting your features and allowing you to get a bold look without having to apply makeup day after day. Dark, tinted brows with a bright red lipstick can give your that movie star look you have been going for. If you don’t want to spend hours on your makeup everyday trying to create the perfect look, lash and brow tinting can save you a ton of time and give you a bold look that lasts. Contact Azeal Dermatology Institutes today to learn more about our tinting services. LATISSE is another great way to get the bold look of long, dark, and dramatic eyelashes. This product is a version of a glaucoma drug called Lumigan. When they noticed the glaucoma medicine caused eyelashes to grow, they created a dermatology and beauty product that would help women achieve longer, fuller, and darker lashes. This products can help you get the long lashes to top off your new bold look. LATISSE is a prescribed treatment for those with hypotrichosis, a condition which leaves people with an inadequate number of eyelashes. While this is a prescription, it can help those with hypotrichosis, growing lashes longer, thicker, and more lush. If you don’t have hypotrichosis but want darkers eyelashes that stand out, tinting is the best option for you! There are many other dermatology treatments that can help you get the look you want, from fillers to hydrafacials and everything in between. But these two can do more than just help you love your look, they can help you get the bold and dramatic look you have been working for. There are others ways to create a new, stylish, and bold look. Read on for more tips to transforming your style into something trendy and eye catching. There are many things you can do to get a bold hairdo. You don’t have to shave your head to get the look you want, but that is always a great way to change up your look dramatically. A pixie cut is fun and flirty but it may not be for everyone. But don’t worry, there are other ways to give your hair something different. Blunt bangs are also a current trend that everyone wants to try, at least the celebrities do. Many other women are not as brave and are not willing to try this dramatic look. But it works so well with many different face and hair types. These bangs can help to make your eyes pop and allow you to pull of many different hairdos. If you are not willing to cut your gorgeous locks, there are other ways to get a bold look for your hair. Coloring your hair can give you a more dramatic and fierce look. Try a color like bright red, deep purple, or the currently trendy, platinum colored hair. A hair color that is completely different than your natural color can completely transform your look and give you a new bold style. This is probably the easiest way to create a bolder look. Adding unique and eye-catching pieces to your closet can help you to create a new style for yourself. Add patterns that stand out, colors that pop, and accessories that tie it all together. 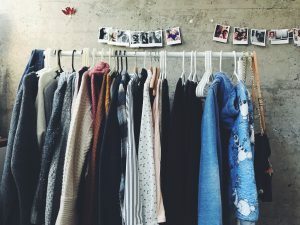 Your clothing can easily be mixed and matched to create different styles, outfits, and looks on a daily basis. You can even match your old clothing pieces with a new bold piece, allowing you to not break the bank from shopping for unique pieces. These are some of the best ways to get a bold new look. After you change up your ‘do and do some shopping, head into Azeal in Boulder. We can help you get a bold look that will last. Contact us today and make an appointment to get started.